When someone receives a reward card, inevitably they start thinking about what they can use it for. Whether it’s going to a nice dinner, taking in a movie, planning a trip, or buying that new gadget that they’ve always wanted; they are thinking and therefore more attentive. When a reward card is purchased from OmniCard, our clients have the option to send out the card inactive and require the recipient to go online or call a toll free number to activate the card. Cardholders will also check their balance at least once and possibly many more times based on the cards value. These support interactions provide an opportunity to extend your branding to customers or employees. 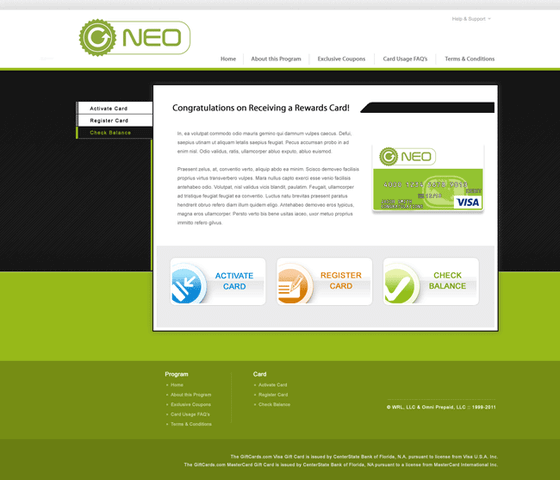 When your reward is sent out, we place a sticker on the card requiring them to go online to activate or register. 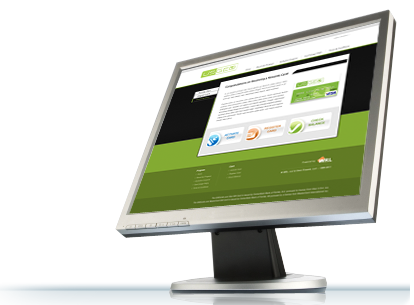 The recipient is then directed to a microsite that we create which looks and feels just like your own website. This site is hosted and maintained by us but will have your own marketing messaging and any special offers that you want to put forth. Typically our clients use this opportunity to reinforce their brand message, provide additional education, or market complimentary products or services.